Seems appropriate for Canada Day weekend to mention the current issue of the online magazine HAL (Hamilton Arts and Letters) HALmagazine.com which is celebrating its 5th anniversary with a special OH! Canada suite of articles, reflecting on Canada's place in the world and including tributes to the somewhat neglected public intellectual George Grant. An analysis of hashtags prepared for Magazines Canada by Marketwired Reports has found that there were 2,662 total mentions and 4.8 million total impressions about the MagNet 13 industry conference June 4 to 7. Biggest bump in mentions was, not surprisingly, on the Wednesday and Thursday when the majority of the seminars and events took place. Maclean's magazine, this year celebrating 108 years of continuous publication, will be unveiling a digital archive of its issues going back to the first edition in October 1905. Until now, past issues of Maclean's have only been available in digital form going back to 1986. Anything before that meant plowing through a card catalogue and microfilm copies, if they exist. So, as the magazine says in a post, the bulk of its history is not available online to readers and researchers. If all goes well, it says, the archive's so-called "back end" will be done by the end of this year and making a publicly available archive will happen starting in 2014. The work has been done with the support of the Ontario Media Development Corporation, and ProQuest will be making a PAO (periodical archives online) database of our past coverage. "It’s a rich collection: there are the historic covers, including some by Group of Seven members like A.J. Casson, Arthur Lismer and J.E.H. MacDonald, and a celebrated cast of contributors, including Margaret Atwood, Robert Service, Farley Mowat, David Suzuki, W.O. Mitchell, Ray Bradbury, Mordecai Richler, Bertrand Russell, and Lucy Maud Montgomery. That’s not to mention a veritable who’s who of Canadian journalists who’ve edited and filled our pages: Ralph Allen, Pierre Berton, Robert Fulford, McKenzie Porter, Peter C. Newman, Christina McCall, Barbara Moon, Peter Gzowski, Trent Frayne, June Callwood and Fred Bodsworth, to name a few." The company (Rogers Publishing, successor to Maclean Hunter) is missing a few of the issues from the first few decades and later may call upon its readers to help locate them. Geoff Moulton, until now managing editor of Salvationist, the magazine of the Salvation Army Canada and Bermuda Territory, has been promoted to editor-in-chief, replacing Major Jim Champ, himself promoted to Secretary for Communications. Jennie Punter, a music journalist, is the new editor of Musicworks magazine, replacing composer and sound artist Micheline Roi. Karen Cleveland, for more than five years the senior manager of marketing and communications at St. Joseph Media, has joined Chick Advisor as its vice-president, marketing and brand engagement. Chick Advisor, a branding, social shopping and recommendations community, formed a partnership with St. Joseph in December 2012. BPA Worldwide, the auditing firm, is phasing out its traditional print-based circulation statements effective December in favour of its Brand Report, which allows measurement of audience across various media channels. "With over 300 members now using the Brand Report, BPA staff and Board decided it was time to give the report a more contemporary and modern look while at the same time transitioning away from its traditional circulation statements. Utilizing input and guidance from media owners, media buyers, agencies and graphic design artists, BPA has developed a report that has a cleaner and more contemporary look and feel." the company reported on its website. Originally, BPAWW had been promoting a "total footprint" approach, summing up all audience numbers across all channels, without regard to identifying unique individuals. This approach has changed, the company said. "Today, recognizing significant input and anecdotal results from both media owners and buyers, the Board concluded that the sum of all media channels does not add value to the media buy as originally believed, and, in fact, has caused some general confusion in the marketplace over what the grand total number actually represents," says a report from BPA. Reports will be colour-coded, with business having a green border and consumer pink. There will be multi-channel and single-channel reports available. Below are examples of the single-channel reports. Collaborative circulation promotion is hot these days, we see. Three small art/literary journals — CAROUSEL, The Feathertale Review and Pilot — are offering a 3-for-1 sub deal by which two issues of each magazine are mailed to Canadian subscribers for $30, about 60% off the combined newsstand price. Best online magazine: Toque & Canoe. A new white paper about the future of business media has been published by Magazines Canada. Plotting a Course across Canada's Business Media Landscape was commissioned as the result of and it took its direction from a gathering in February of 20 of Canada's leading business magazine publishers. I am one of the authors of the paper, along with John Milne, the president of Breakwell & Company who is best known for having led the business and professional publishing portfolio at Rogers Publishing. Among other things, the paper details the replacement of cyclical and seasonal fluctuations in advertising revenues, replaced by a deepening understanding of how to serve discrete types of audience members and to build new revenue streams around their needs. In the lead-up to a show this weekend of photos from Mac Parry's Vancouver Sun column, the Sun had a couple of stories by John Mackie that chronicled Parry's remarkable career -- including his long involvement with magazines. He was the editor of Vancouver magazine for 16 years, later editor of Western Living and, for a brief time (10 months) the editor of Frank Stronach's $12 million vanity project Vista magazine. The photo exhibit, which chronicles 20 years of people and events he shot, is for one weekend only, June 22-23, 11 a.m. to 5 p.m. Wing Sang building, 51 East Pender, Vancouver. All donations go to The Vancouver Sun's Raise-a-Reader literacy program. "A spokesperson for Jamie magazine declined to offer details on why the licensing deal fell apart, but said talks with other potential partners are underway. "We are actively seeking a new relationship," she said. Customers who pre-ordered a North American subscription will be provided with the UK print or iPad edition of the magazine." "Due to a number of challenges, we have found it necessary to sever our relationship with our North American licensee, idoodle media. We apologize for the delay in the North American launch and are in the process of reviewing all of our legal options. " [This post has been updated; after the break] Unpaid internships at magazines may be in jeopardy as the result of recent challenges and court decisions in the U.S. and Britain. U.S. District Judge William H. Pauley III ruled last week that Fox Searchlight Pictures violated minimum wage laws and employment standards by not paying two interns who worked on production of a movie. In the ruling [said an Associated Press story] Pauley said Fox should have paid the two interns who filed the lawsuit because they did the same work as regular employees, provided value to the company and performed low-level tasks that didn’t require any specialized training. Now Canadian magazines are a little out of Judge Pauley III's jurisdiction, but as we know such trends tend to drift north and Canadian publishers can't afford to be insouciant about this. So long as Canadian magazine employers build this large pool of transient, disposable labour they increase the likelihood that someone will take a run at them. "Lauren Ballinger, an intern at W Magazine for several months in 2009, and Matthew Leib, who had internships at the New Yorker in 2009 and 2010, said Conde Nast violated federal labor laws. "Ballinger received $12 a day to organize accessories, run personal errands for editors and make deliveries to vendors. Leib got a flat rate of $300 to $500 for each three- to four-month internship, which included reviewing submissions to the New Yorker's "Shouts and Murmurs" section, responding to emails sent to the magazine, proofreading and opening mail. "The lawsuit, which seeks a class action on behalf of all affected Conde Nast workers, said the Fair Labor Standards Act required the company to pay an hourly minimum wage." From the smallest cultural titles to the largest consumer magazines in this country, management has come to take for granted internships, unpaid or poorly paid. Fresh off its award-winning turn at the National Magazine Awards, The Grid weekly magazine (owned by Toronto Star Newspapers Limited) has laid off several staff: Deputy editor Pat Lynch, staff writer David Topping, associate editor Matthew Halliday and assistant online editor Rob Duffy. "National advertisers are not spending and no one has any visibility into Q3 or Q4, so this is a proactive measure to get cost out of the business and meet our bottom-line targets." "There is no doubt about it: we are entering a new golden age of magazine publishing, an age where the magazine is supported by the website and app. It’s this ‘support’ that people thought would be the death of the magazine. In fact, with the ‘cross media platform’ working well, it’s formidable to have a magazine, a format that readers and advertisers still adore." -- Dan Crowe, the editor of the London-based PORT Magazine, introducing the summer issue in which the magazine interviews six magazine editors it admires and who run "the best magazines in the world", including Jim Nelson of GQ, Scott Dadich of Wired, Graydon Carter of Vanity Fair, Hugo Lindgren of The New York Times Magazine, Josh Tyrangiel of Bloomberg Businessweek and Adam Moss of New York magazine. Not that it probably expected much, but the Canadian Media Guild did receive a reply to a letter it sent a month ago to the Minister of Canadian Heritage, James Moore. The reply was posted by Story Board, the joint website of the CMG and the Canadian Writers Group. The CMG letter had requested a meeting to discuss funding that TC Media receives from the Canada Periodical Fund (roughly $8 million a year) in light of the company's aggressive freelance contract. "Instead of enriching the cultural sector and helping to stabilize employment, the latest TC Media contract demands that freelancers sign over all rights to their work, while offering no increase in pay rates," the letter to the minister said. "Under these terms, TC Media has the right to republish or alter the work without permission (including removing the byline) and without paying the freelancer another cent." "The Government of Canada is not involved in the management decisions of CPF recipients, nor in matters relating to potential labour disputes." Coverage of Magazines Week events has improved dramatically in recent years, so it seems(ed) redundant for me to report on the outcomes of the National Magazine Awards when there is an excellent summary distributed moments afterwards by the National Magazine Awards Foundation. However, here are a number of miscellaneous observations about things that struck me at the event and during the MagNet conference and Magazines Week which preceded it. The proverbial pin could have been heard to drop as this year's recipient of the Foundation Award for Outstanding Achievement, Stephen Trumper, spoke from his wheelchair and from his heart. He struck a pitch-perfect balance between advocacy for the disabled and his love of being an editor and mentor. Small literary and cultural magazines are indeed the seedbed of the industry, giving people their start and making them available, if they wish, for transplantation into mainstream publications. Certainly that's true with Sierra Skye Gemma who won for best new magazine writer for her piece "The Wrong Way" in The New Quarterly. It's the kind of prize that reflects the effort and passion that TNQ puts into developing new voices. The buzz of MagNet was probably about the MagNet Marquee keynote with the charming publisher of Garden & Gun magazine Rebecca Wesson Darwin. The fact that she and her team get readers to pay a fee to belong to Garden & Gun clubs (some as much as $500 a year) had people talking. As did her emphasis on following her "gut". Of course it was a fairly experienced gut; she was no neophyte, having been the first female publisher of The New Yorker and publisher of Mirabella. McGill News, published quarterly twice annually by McGill University, won the gold award for best university magazine at the Canadian Council for the Advancement of Education’s annual Prix d’Excellence ceremony, held yesterday in St. John’s, Newfoundland. The University of Toronto’s U of T Magazine earned the silver and Concordia University’s Concordia University Magazine won the bronze. Scott Rollins won gold for best English writing for a story published in the University of Alberta’s New Trail about the U of A’s varied research projects in the Canadian north. U of T Magazine earned the silver and bronze medals in this category. Laval University’s Contact won the gold award for French writing for a story by Pascale Guéricolas about award-winning documentary filmmakers Olivier Higgins and Mélanie Carrier. The Université du Québec à Montréal’s Inter- won silver, while Université de Montréal’s Forum won the bronze. "We’re told the staff at RKP were not allowed in the building this afternoon [Friday] and the company has filed bankruptcy. The news caught the staff by surprise and while they knew things were tough they didn’t expect to be out of a job today. We’ve also been informed that the printer has stopped printing the current issues of the magazines and are owed large sums of money by RKP." Three of the titles are licensed to Fitmedia in Australia, which says that the Canadian bankruptcy in no way affects their publications. Magazines Canada has elected Michael Fox as its new chair for the next two years. Fox, a well-known circulator (was senior vice-president, circulation and marketing at Rogers Publishing) is now the CEO of the indy magazine Garden Making. He remains one of Canada's foremost experts on postal matters and has served in many board positions in MagsCan, including being its treasurer and leading the development of its collaborative direct mail subscription campaign. Toronto's Family Communications Inc., which produces Today's Bride magazine, is launching Canada's first prom magazine called PromCanada. It will first come out in November and have a circulation of 75,000 copies. The European digest-sized book will be distributed on newsstands and through retail dress shops across the country. aimed at tapping into the estimated spending on the big night out, reported to be about $1,140 per family in the U.S.
"It's hard to beat Justin Trudeau writing about his dad's canoes, and I liked the personal, evocative writing in the other columns, too. There's a positive, celebratory feel to these issues. The magazine completely lives up to its mission statement, with strong design assisting the how-to components, making them very readable." Cottage Life also won the Jim Cormier Award for best display writing, and as consumer magazine of the year, medium circulation (50,000 to 149,999). Yellowknife-based Up Here magazine and its editor Aaron Spitzer won as magazine of the year, small circulation (less than 50,000 circulation) as well as for best front-of-the-book. -- Jon Steinberg, BuzzFeed’s president and chief operating officer, speaking as the min Digital Summit keynote speaker in New York. Kate Kelly Smith works with Hearst Design Group which publishes House Beautiful. She says the strong housing market means interior design magazines are selling more ads. Advertising Age says this month's issues have sold almost 9 percent more than last year. "We'll we're a direct reflection of the market, so when there's an uptick in the marketplace, we can feel it across each and every part of our business," Kelly Smith says. Quebecor Media's TVA group has eliminated 90 jobs or about 4.5% of its staffing. TVA is the largest publisher of consumer magazines in the Quebec market; it is not known what proportion of the layoffs involved magazine jobs. The company recently sold its jobs and dating website to Mediagriff and was reported to have a major plunge in profits in the first quarter of 2013 compared with the same period a year earlier. Over all, Quebecor posted a 50% drop in net profit of $35.6-million or 57 cents per share in the quarter, compared with $71.4-million or $1.13 per share in the year-earlier period. Ron Sellwood of Coast to Coast Newsstand Services Partnership was named marketer of the year at the annual ACE Awards for circulation excellence, presented by the Circulation Management Association of Canada. The award and others were announced Wednesday during a CMC luncheon. Canada's History was named magazine of the year for its overall circulation performance. Deborah Brewster, the North American marketing manager of New Internationalist, was recognized as CMC volunteer of the year, the first time this award was given. Oilweek magazine, published in Calgary by June Warren-Nickles Energy Group (a division of Glacier Media Inc.) was named magazine of the year (trade) at last night's 59th annual Kenneth R. Wilson awards in Toronto Tuesday evening. The magazine of the year (professional) was Up Here Business, published out of Yellowknife, Northwest Territories by Up Here Publishing. Best issue of the year (gold) went to Jules-Alexandre Obry, Geraldine Martin for Le pouvoir creatif in Les Affaires; silver to Peter Zaver, Tom Gierazimczuk, David Brown, Rebecca Harris, Alicia Androich, Kristin Laird, Jeromy Lloyd, Ally Tripovic for Facebook Rules in Marketing. Calgary's Avenue magazine has come up with a delicious promotional contest whereby its readers will create a new gelato flavour. Its partner is a Calgary "artisan gelaterie" Fiasco Gelato. The prize is not only the fame of having designed a new flavour, but free gelato for a year. Entries may be submitted until midnight, June 30 and will be narrowed to six final flavours (manufactured by Fiasco) before the winner will be selected by a panel of expert judges including Jennifer Hamilton, executive editor and food critic at Avenue magazine; John Gilchrist, food critic and writer; James Boettcher, chief idea officer at Fiasco Gelato; Connie DeSousa, co-chef and co-owner of Charcut Roast House in Calgary; Sarah Crosbie of Q107’s Jeff & Sarah Show; Julie Van Rosendaal, food writer and critic; and Dan Clapson, food writer and critic. The winning tasty creation will become an official Fiasco Gelato flavour in August, just in time for Avenue’s Best Neighbourhoods Block Party, where the Fiasco Gelato food truck will be on hand to showcase the Give us a Taste contest-winning flavour. The party is tentatively scheduled for Aug. 17. Tomorrow (Tuesday 4th) starts Magazines Week in Toronto, the biggest concentration of events and learning opportunities of the year, anchored around MagNet, the annual magazine industry superconference. How much does good, basic storytelling contribute to the health and prosperity of the business? Are we forgetting -- in our pursuit of technical innovation -- that this is basically journalism, aimed at building audience? When, if ever, will we have alternatives to delivering printed magazines to household letterboxes via Canada Post? Do we want to? What are the alternatives to selling single copies in the ever-shrinking cohort of magazine stores? How do we nurture the independents we still have across the country? Are we investing enough in training the next generation of ad sales, production and circulation people? What proportion of readership will be delivered and measured in digital form in the next five years? And what difference will that make to the way writers, art directors, editors, publishers, circulators and ad sales people do their jobs? Will we finally sort out whether internships are intended to be training or free labour? Or both? Are we gaining readers or losing perspective with social media? Where are the biggest opportunities for startups? Among the interesting daily keynotes at MagNet (all "imports" to use a Canadian football analogy) are David Carey, the president of Hearst Magazines, Bo Sacks, the president of the Precision Media Group, and T. J. Tucker, the creative director of Texas Monthly. It's heartening to see a diversity of talks and panels ranging from recycling, small magazine finances and cultural publishing to social media and digital technology as well as some big picture discussions about the future of publishing and federal magazine policy. 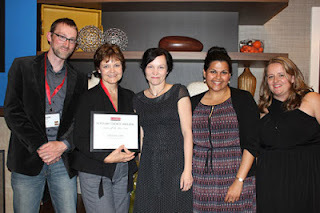 This is what comes of true partnership between the Canadian Society of Magazine Editors (CSME), Circulation Management Association of Canada (CMC), Magazines Canada (MC) and the Professional Writers Association of Canada (PWAC). It's proof that the "big tent" approach works. Above all, it's nice to see magazine people getting a chance to gather, collaborate and learn from each other. If you're in the Toronto area, there's still room at some of the sessions to join the conversation and even if you can't be there in person, follow the tweets at @magnetcanada, hashtag #MagNet13. The Professional Writers Association of Canada (PWAC) today announced the finalists for its editor of the year award; an award prestigious because it is a recognition by freelancers of the important role that dedicated editors make to their success.